Oil prices have retreated substantially since October. That would seem to be good news for airlines. Yet most airline stocks have declined over the past few months -- and particularly since the beginning of December -- due to worries about a potential unit revenue slowdown. Investors are particularly worried that low oil prices could encourage airlines to grow too quickly, leading to a glut of seats at some point in 2019. 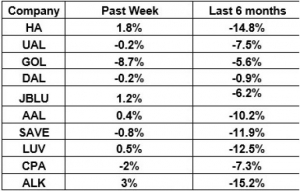 In the past month or so, several airlines have cut their revenue per available seat mile (RASM) forecasts for the fourth quarter, including industry giants American Airlines and Delta Air Lines. This has provided ammunition for the bears. 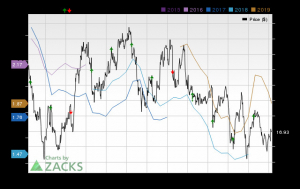 Yet recent investor updates from JetBlue Airways (NASDAQ: JBLU) and Alaska Air (NYSE: ALK) show that there are still some bright spots in the airline industry. 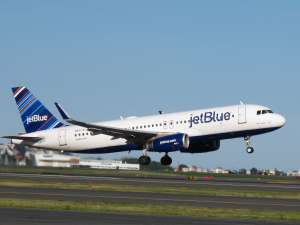 Entering the fourth quarter, JetBlue expected RASM to increase 1% to 4%, despite facing a tougher year-over-year comparison. The carrier started to benefit last quarter from various initiatives designed to boost unit revenue. These moves included cutting underperforming routes, raising baggage fees, and adjusting other fees. However, like JetBlue, Alaska has implemented numerous changes to its route network, fees, and fare structure in order to accelerate its unit revenue growth. As a result, it entered the fourth quarter with higher hopes, calling for RASM to rise 1.5% to 3.5% year over year. David and Tom just revealed what they believe are the 10 best stocks for investors to buy right now... and JetBlue Airways wasn't one of them! That's right -- they think these 10 stocks are even better buys. Adam Levine-Weinberg owns shares of Alaska Air Group, Delta Air Lines, and JetBlue Airways and is long January 2020 $20 calls on American Airlines Group and long January 2019 $10 calls on JetBlue Airways. The Motley Fool owns shares of Delta Air Lines. The Motley Fool recommends Alaska Air Group and JetBlue Airways. The Motley Fool has a disclosure policy.